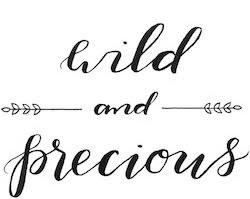 Wild & Precious: Why try to hide it? It doesn't matter how much you love your new poncho sweater matched with your favorite necklace or how comfortable the chambray and black skinnies you wear every day are or how awesomely your leopard loafers go with everything... if your in a cranky mood (brought on by a dooms day dentist appointment added to some girly issues or whatever it may be on any given day), and you're trying to take outfit pictures... this is all you're going to end up with. A cropped head and a downward glance with an awkward stance. But why try to hide it? This is real life peoples. I love dabbling in style/fashion on this blog and exploring new brands and trends. And I love sharing with you what I find and my experiences and reviews. But, there is an ugly side to it. The side that plays into my insecurities and vanity. I mean duh -- taking pictures every week of yourself and looking through them and picking out the best one... it's not really for the faint of heart. If you think I exude confidence then score one for me! You have fallen for my trickery. I don't want the tone of this post to sound negative or ungrateful. I don't want to make some big drama and incur your sympathies. I do, however, want to be honest and to remind myself -- I am not defined by the clothes that I wear or the gray in my hair or the blemish on my nose. I do not have to size myself up to the "blogger next door" with a quadrillion followers and comments everyday. I am me. A fearfully and wonderfully made me. Zero percent mistake. Preach on, sister! I completely relate to everything you're saying. I feel awkward but do them anyway as a way to figure out to be, I don't know, more socially acceptable? dang girl do i ever feel you here. and i think it's important to show REAL life and real emotions and real messy stuff under "hey look at my poncho!" ps - i love your poncho. thanks for being real and joining us in #dressfortheday! I agree! And thanks for your honesty. You are so right, sometimes you just get miserable when picking out pictures and other life events happen (ouch for the dentist!) and then here's what you come up with. Well, I think you look fantastic anyway! i thought about just skipping posting... been one of those weeks. but i want to be authentic. and today, this was authentic me. although... maybe i should have posted one of the pics i was hating. that would have been real authentic! Ah I am experiencing the same thing today, and by chance, wearing a similar outfit! Love this outfit Blair and I hope something happens today to lift your spirits. Thank you for keeping it real! just writing this out lifted them! love the ways God uses my blog to do that! and your encouraging comment lifted them even more! it's so true...going through outfit pics each week is a little crazy. Especially mine because in most of mine I have a crazy smile and an eye half closed! Amen sister! But I still love your outfit! I need that sweater like nobody's business. I know how you feel! Some days when I'm doing photos for an outfit shoot, I'm already in a bad mood and just feel like it's not going well and don't love any of the facial expressions and just in general think they turned out blah. But it is what it is - you're right, life is like that sometimes. Love those loafers! They make any outfit look extra chic! i wear them with everything. and they are cow hair. so sometimes i just sit and pet them. lol!